Riverside apartments are set to be The Othaya Group's most exclusive and elegant multi-storey development in Kenya. Architecturally, it's one of our most beautiful developments yet. In addition, the One Bedroom, Two Bedroom and Three Bedroom apartments are all two storey, making it a truly unique concept for the Kenyan property market. Another fascinating feature includes the rooftop entertainment space which includes a swimming pool, gymnasium and cafeteria available for communal use. 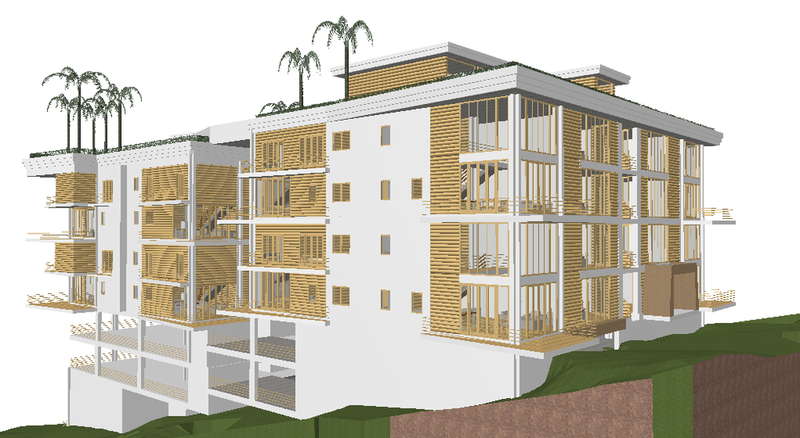 The development is truly unique as it uses imported Scandinavian timber as part of the construction, a concept never before seen in Kenya. Construction is expected to begin in March 2016, with plans afoot to complete the development by October 2017.